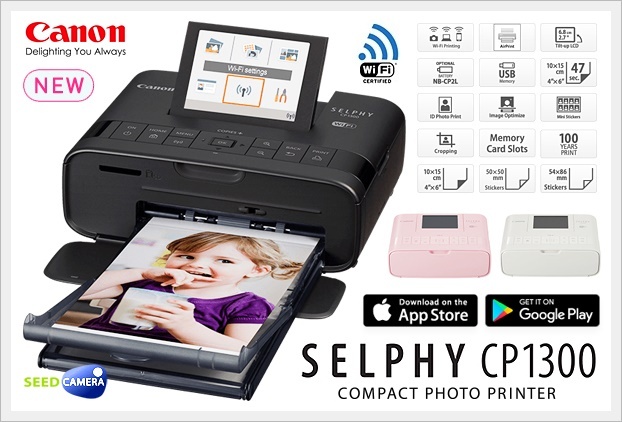 SELPHY CP1300 - Effortlessly release memories from your smartphone, with superb quality prints that will last a lifetime, using the most stylish SELPHY yet. A small, elegant and portable Wi-Fi photo printer that's easy for anyone to use. Find out more about the Canon SELPHY CP1300, its features and what it can do.